Although many provincial fédérés had taken part in the storming of the Tuileries, the fall of the French monarchy had very largely been the work of the insurrectionary commune of Paris. The very idea of a national Convention to give France a republican constitution also originated in the Paris sections. It was therefore understandable that the sansculottes should regard themselves as the guardians and watchdogs of the new republic, and the arbiters of what it should stand for. And of course they were very well placed to enforce their will. The Convention sat in Paris, it had no forces to defend itself from popular pressure. All available troops in 1792 and 1793 were occupied at the front, and the Paris National Guard was no longer the force that had shot down republican petitioners on the Champ de Mars. Since the end of July it had been open to all citizens and was little more than a sansculotte militia, commanded from 10 August by Santerre, a rich brewer but long a popular activist in the city’s east end. The Legislative Assembly had been forced to recognize its own helplessness in the face of Parisian power during its last weeks. Its only attempt to assert itself, the decree dissolving the commune and ordering new elections on 30 August, was ostentatiously ignored and rapidly rescinded. And the deputies had had to sit powerless while the same sansculottes who claimed to be the nation’s conscience massacred half the capital’s prison population during the following week. The nation’s representatives were clearly in the clutches of a capricious and bloodthirsty mob, and in this respect the Convention was no more secure than its predecessor. ‘Never forget’, the exmonk Chabot warned his fellow deputies, ‘that you were sent here by the sansculottes.’1 None of them was likely to; but they were deeply divided over whether that committed them to continue to do Paris’s bidding. The role of the capital in national affairs was to be the most hotly debated issue during the first nine months of the Convention’s existence. Leading the attack on Paris were those who had sought to avert the insurrection of 10 August, and whom Robespierre had tried to have arrested by the commune just as the prison massacres were beginning-men like Brissot, Vergniaud, and the ‘faction of the Gironde’. They had been deputies in the previous assembly, but they were supported by a number of newcomers, too. They were not a party, and never would be, except in the wishful imagination of their opponents; but they all sat for provincial constituencies, and the more prominent among them had grown used to informal co-operation with each other throughout the Legislative. They tended to meet, as they had then, at the house of Roland, still minister of the interior. There his pretty and ambitious wife, though a Parisienne herself, railed constantly against Marat, Danton, Robespierre, and the whole Parisian delegation in the Convention. These men, the Girondins were convinced, had been deeply implicated in the September Massacres, and intended to use their Parisian support to seize national power. Within days of the Convention’s first meeting the challenge was thrown down. 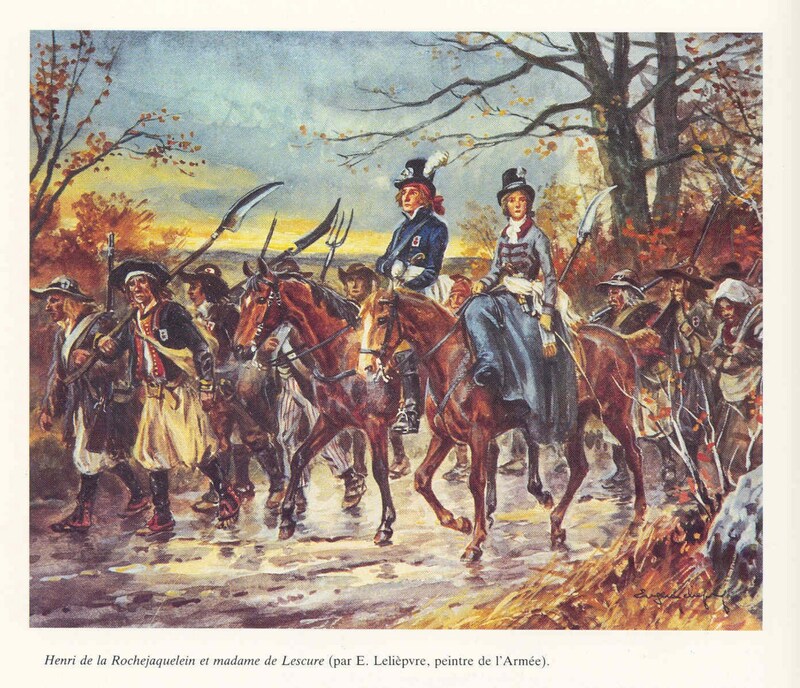 The ex-constituent Buzot, soon to become Mme Roland’s lover, proposed the establishment of a ‘departmental guard’ recruited outside Paris, to protect the Convention. ‘Do you suppose’, he asked, ‘we are to be enslaved by certain deputies of Paris?’ The Montagnard response was to denounce the idea as ‘Federalism’–an attempt to dissipate the unity of the nation. They proposed, and carried, a declaration that the Republic was one and indivisible. Most deputies were happy to vote for both proposals, reluctant as they were to become involved in the faction fights of extremists whose antagonisms seemed as much personal as principled. But the uncommitted deputies of the ‘Plain’, as they soon became known from their tendency to sit in the middle of the house, between Montagnards on the left of the chair and Girondins on the right, were quickly to find that the antagonism between the two factions coloured every issue. For much of October the object of Girondin attack was Marat, and the shame Paris had brought upon itself by electing one who had constantly advocated massacres. He had also regularly called for a dictator, and to the Girondins it seemed obvious whom he had in mind: Robespierre. On 29 October Louvet openly accused this ‘insolent demagogue’ of aspiring to dictatorship. On 4 December the attack was turned on Philippe-Égalité, when Buzot moved that anybody advocating a restoration of monarchy should suffer the death penalty. The inference was that the Montagnards planned to make this former prince of notorious ambition king once Louis XVI was dead. Everything to do with the king’s fate, in fact, drove the factions even wider apart. The Montagnards suspected their opponents of seeking reconciliation with him before August. They were right, but they had no proof. 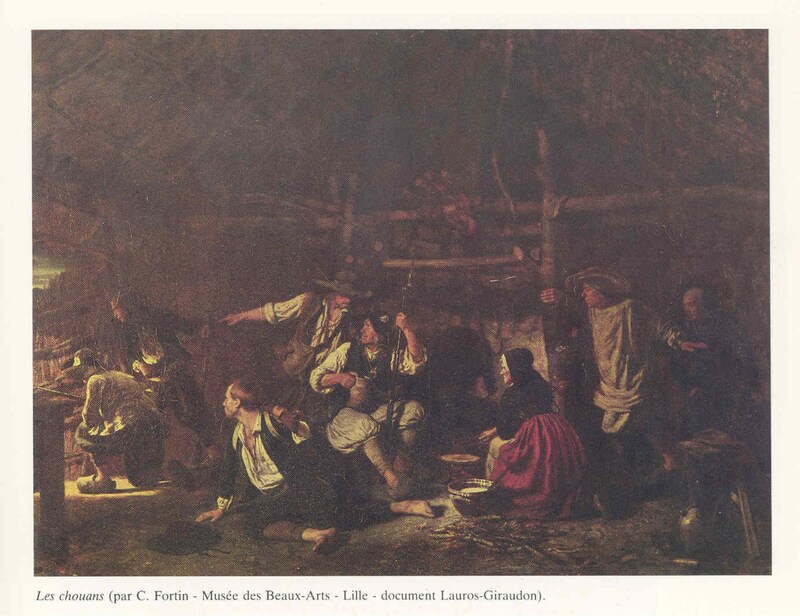 When Roland announced the discovery of the armoire de fer, they accused him of removing documents from it that implicated his friends, just as those it did contain revealed the earlier treachery of Mirabeau. On 3 January, amid the voting on the king’s trial, they again insisted on debating rumours of secret correspondence between the Bordeaux deputies and the Tuileries the previous July. The aim now was to discredit the Girondin-sponsored idea of an appeal to the people over the death sentence. This in its turn was designed to thwart the obvious determination of Paris and its sections that the king should be executed without delay. Montagnards argued that the appeal would be a call to civil war; Girondins responded that not to allow the departments to pronounce on the king’s fate would in itself provoke such a war. The Girondin idea of clemency was debated in similar terms. And the way a deputy had voted in these two contentious divisions was to mark him politically for ever, both in the subsequent public affairs of revolutionary France and in the analyses of its historians. All these clashes had taken place at a time of victory in the war, but even foreign policy was not unmarked by them. Dumouriez had always been associated with those now called Girondins, and they revelled in his successes. It was they who proposed offering fraternity and assistance to foreign sympathizers, but Robespierre who warned of the futility of trying to establish liberty in foreign countries by force. Yet when Brissot quite uncharacteristically became the advocate of caution, and argued for reprieving the king so as not to antagonize more foreign powers, the Montagnards scorned his cowardice and were in the van of the movement to declare war on Great Britain, Holland, and Spain. Then, having dispatched the king and challenged most of Europe to a fight to the death, the factions returned to their vendetta. The Montagnards now had a martyr to their cause: on 20 January the former nobleman and judge in the Paris parlement Le Peletier de Saint-Fargeau was assassinated by a fellow noble who blamed him for voting for the king’s execution. His remains were placed in the Pantheon as men began to talk of removing those of Mirabeau. The Jacobin Club also now became a Montagnard monopoly: Brissot had been expelled from this scene of his former triumphs as early as October; and on 1 March all deputies who had voted for the appeal to the people on the king’s execution were likewise excluded. The Montagnards failed to capture the ministry of the interior when Roland, wearied by their repeated attacks, resigned on 22 January; but they did defeat a renewed proposal for a departmental guard, and they tore to pieces a projected constitution brought forward by Condorcet on 15 February on the grounds that it was a charter for Federalism and executive paralysis. In all this they felt confident of popular support in Paris; but in fact, now the great drama of the king’s trial and execution was over, the people of the capital were turning their attention to more everyday matters. On 12 February the Convention received a deputation from the sections of Paris calling for comprehensive price controls on basic commodities. The petitioners called their proposal a ‘maximum’. With rare unanimity the deputies rejected the idea. They believed that attempts to interfere with the free exchange of goods did more to distort markets than supply them, and they had in fact renounced all economic controls as recently as December 1792. Even Marat, who believed the only solution to scarcity was to guillotine hoarders and speculators, denounced the petitioners as dangerously misguided. They were reacting, however, to a serious deterioration in the economic situation in the capital. Throughout the upheavals of 1792, the value of the assignats had continued to decline. By January 1793 they were down to 51 per cent of their face value, despite the decision to make them legal tender in occupied territories. Coinage, on the other hand, was becoming increasingly rare. Requisitioning and bulk-purchasing for the armies over the autumn had disrupted the supply of many basic commodities, and war against the maritime powers had brought a blockade on seaborne imports. And particularly hard-hit were the products of the West Indies, where deepening chaos was devastating the economy of the French islands and leaving all reliable production in the hands of the British. Such disruptions were reflected in commodity prices. By February sugar had doubled or trebled since 1790, and soap had more than doubled. Other items, like coffee and candles, were also rising steadily. These increases provided the impetus behind calls for a maximum, which were renewed in petitions to the Convention and the Jacobin Club between 22 and 24 February. When they remained unanswered, the city was swept by a wave of attacks on grocery shops and warehouses throughout the twenty-fifth. Mostly the crowds, led as usual by women, behaved traditionally, fixing prices at levels they considered just, selling the stocks they found at those, and handing the proceeds to the hapless shopkeepers. But there was more outright pillage and pilfering than the previous year, and crude and brutal threats were more overt. The summer’s bloodshed had clearly lowered the threshold of acceptable violence. On the twenty-sixth Santerre’s National Guards restored order, but the whole Convention was visibly shaken by the outburst. The Girondins, predictably, blamed the incitements of Marat. The Montagnards suspected a plot organized by Roux, who since the autumn had been calling for hoarders and speculators to be treated the same way as ‘Louis the Last’. They began to call Roux and his associates, such as Jean Varlet, who ranted daily to passers-by from a soap-box just outside the Convention hall, the rabids (enragés). There had probably been no plot on 25 February, but the outbreak certainly seems to have engendered the idea of one. It developed rapidly in the crucible of the new crisis which broke in March. Determined to build on the autumn’s victories and replace the one year volunteers who were now leaving the army, the Convention decided that the newly expanded war would require more than volunteers. On 24 February it decreed a new levy of 300,000 men to be raised by volunteering, if possible, but conscription if necessary, with each department allotted a quota. Local authorities would be free, if they saw fit, to find their recruits among eligible young males by the well-tried technique used for raising the pre-revolutionary militia: drawing lots. Such a return to hated practice only abolished four years previously was bound to be unpopular, and in fact only half the 300,000 men were ever raised. 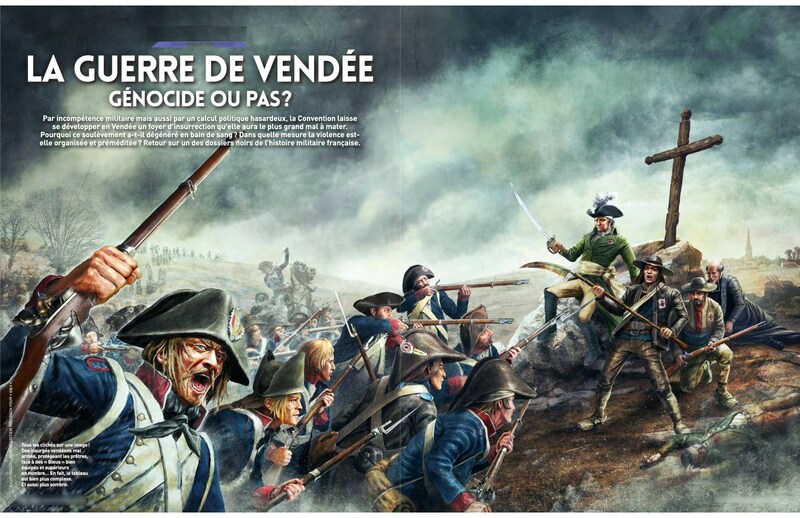 But in some parts it was more than unpopular; and in the department of the Vendée the first attempts to conscript in the early days of March met with violent resistance which within weeks had flared up into an open rebellion against the entire course the Revolution had taken. The Vendéan peasants resented their able-bodied young men being taken off to fight distant enemies, with whom they had no quarrel, by authorities with whom their quarrel was limitless. They resented the fact that the conscription decree was implemented by bourgeois from the local towns who were themselves exempt because of the public offices they held. The National Guard, who were merely these bourgeois and their friends in uniform, were deemed mobilized ‘on the spot’, which meant that they did not have to go to the front either, yet were the main force needed to compel others to go. The disturbances began with clashes between peasant youths and National Guards. And who were these uniformed self-styled patriots forcing others to fight their battles? The same people who had ejected nonjuring priests in 1791 and forced in intrusive newcomers; the same people who had bought up the best church lands when they had come on the market; townsmen who had done consistently well out of the Revolution at the expense, so it seemed, of surrounding peasant communities and the Church upon which loyalties had focused in the calmer, remoter days when the king had reigned undisputed. These resentments had been simmering and spluttering throughout western France for over a year in innumerable clashes between peasants and local authorities over recruiting drives and measures against non-juring priests. The zeal of both sides intensified after 10 August, and the declaration of a republic made the king a new rallying-point for those opposed to the patriots. Down with the national cockade, shouted malcontents who gathered in thousands in the Vendée late in August 1792; long live the king, up with the nobles. Nobles, in fact, played little part in these outbreaks, and only joined the western rebels in 1793 after the insurgents had made it clear that they were anxious to have noble leaders: but in patriotic eyes they were all aristocrats. Reports of this unprecedented resistance to revolutionary authority began to reach Paris during the second week in March. They coincided with increasingly bad news from Belgium, where the Austrians had counter-attacked on the first and turned the flank of Dumouriez’s advance into Holland. Yet Dumouriez had refused to draw back until explicitly ordered to do so, and some deputies began to sniff treachery. The Girondins had been keen to adopt Dumouriez when he was driving the enemy before him, and the taint he now began to acquire rubbed off on them. 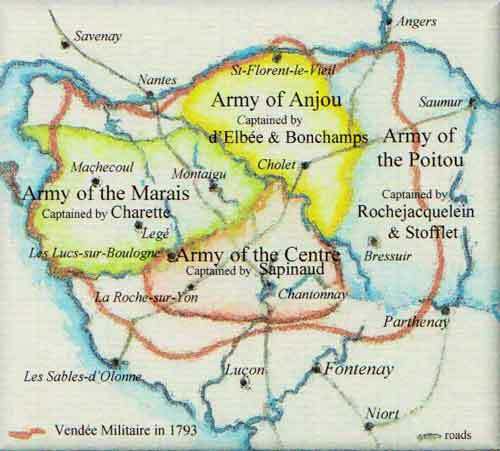 By 8 March it was being alleged in the Convention that the armies were in headlong retreat, and panic swept the capital. Danton, who knew the situation in Belgium at first hand, called for volunteers from Paris to march north and save the campaign, which did nothing to restore calm. Everybody remembered how the previous September the departure of volunteers had occasioned the prison massacres. Certain elements in Paris evidently believed that this was the moment to eliminate the city’s enemies in the Convention. Some sections began to demand the establishment of a revolutionary tribunal to try traitors, and the Jacobin Club took up the call. The Convention accepted the proposal on the ninth and decreed in the same session that deputies should be sent out to all departments, as ‘representatives on mission’, to explain and expedite war emergency measures. That night, armed bands toured the print shops where the leading Girondin journals were produced, smashing the presses and destroying copy. They were in disguise, but seem to have been organized by a radical club calling itself the Defenders of the One and Indivisible Republic, whose leading light was himself a journalist, Jacques-René Hébert, producer of the increasingly popular Père Duchesne. The next day these same elements tried to organize a full-scale insurrection which would force the Convention to arrest all suspect generals, ministers, and the leading Girondin deputies. Enragés like Varlet joined in. The tocsin was rung and the city gates closed. But the commune refused to become involved, and Santerre put together 9,000 National Guards to maintain order. The insurgents melted away. Yet a precedent had been set, and all sides recognized it. Popular action might be used to purge the Convention of unpopular elements. The Montagnards as yet shrank from such an assault on the nation’s elected representatives; although the Girondins were quite prepared to believe, and say, that the hated deputies of Paris had been implicated once again in a plot to massacre them. Understandably, but fatally, their worries about the threat from Paris were developing into an all-consuming obsession. For weeks afterwards they raked over the murky details of the abortive journée, while the bad news both from the Vendée and Belgium got worse. On 12 March Dumouriez openly denounced French policy in Belgium, sowing new suspicions. His defeat at Neerwinden a week later intensified them. Treason was not its cause, but it was its result, and only the refusal of his army to co-operate prevented him from marching on Paris to restore the constitution of 1791 with the infant Louis XVII as king. His perfidy was generally recognized a fortnight before his flight across the Austrian lines on 6 April. Nobody came well out of the crisis. Girondins fell under suspicion from their previous association with the traitor; but leading Montagnards like Danton suffered from their last-minute attempts to strike deals which might prevent his defection. Yet it was the Montagnards who produced all the constructive proposals for dealing with the crisis, and most of the votes in the Convention went their way even though many of their sympathizers were now heading off to the departments as representatives on mission. The new measures included the establishment of watch committees (comités de surveillance) throughout the country to scrutinize the activities of foreigners and suspects (21 March); and an attempt to bring the war effort under more decisive legislative control through a new co-ordinating committee. Ever since the fall of the monarchy executive power had nominally been vested in a council of ministers, but each minister was shadowed by a specialist committee of the Convention. On 1 January a Committee of General Defence was set up to co-ordinate these bodies, but it proved cumbersome and ineffective, and the crisis of March led to a search for something stronger. On the twentyfifth, accordingly, on the suggestion of a deputy now making a name for himself as a deviser of ingenious compromises, Bertrand Barère, a 25member Committee of Public Safety was created to take over its role. By the time it began to function on 7 April its membership had been reduced to nine, renewable monthly. Barère was elected, and would prove its longest serving member, but Robespierre declined election because he doubted the Committee’s value. The dominant voice for its first two months would be that of Danton, and for much of that time he preached union and reconciliation in the face of the dangers confronting the nation. His urgings, however, fell on deaf ears. The Montagnards had hoped, in setting up the Revolutionary Tribunal, to use it against those whom they saw as impeding the war effort by their vendetta against Paris. Girondins, however, saw that this sword was double-edged, and it was from them that a proposal came on 1 April to abolish deputies’ immunity from arrest. Success in this cleared the way for an attack on the most exposed figure in the Montagnard ranks, recognized even by his own side in their cooler moments as a liability- -Marat. As president of the Jacobins, on 5 April he had signed a circular appealing to the provinces to defend Paris against a ‘sacrilegious cabal’ in the Convention, attempting thus to steal what the Girondins regarded as their own constituency. Alleging an insult to the Convention, they called on 12 April for Marat to be impeached; and, with normal Montagnard support depleted by the absence of many of their normal allies on mission, the motion passed overwhelmingly. Thirty-three sections of Paris responded to this attack on their hero by calling for the expulsion from the Convention of 22 named deputies including Brissot, all the Bordelais, and Pétion, who had drifted away from his earlier radicalism since the fall of the monarchy. Both the Jacobins and the commune endorsed the demand, but withdrew their approval when Robespierre, reluctant to see the nation’s representatives coerced, condemned it. In any case they had their revenge on 24 April, when Marat was acquitted by the Revolutionary Tribunal and carried shoulder-high from the court back to the Convention by exultant sansculottes. They may have been alarmed that even in Paris there were signs of resistance to conscription, since it was this that had plunged the provinces into turmoil; and not only in the west. There were reports of riots against the 300,000 levy from places as far apart as Franche Comté western Languedoc, and Normandy. More alarming still, in the course of the spring some of the major provincial cities began to break away from central authority.